Photographer’s notes: There were a couple of us chatting about the injury. Huge empathy from the others. We have all had some sort of setback and it is often pure luck that has kept some of us safe. I had my injury a few decades back. Running over a flight of steps, landed wrong and shredded muscles and ligaments on my right ankle. It was a couple of years before I could walk again. Longer before I could run. But the bike was instrumental to recovery. I hobbled from the hospital in a cast, went home and found a metal plate to run in the cast. This would let me ride my bike every day. I was logging 60 kilometres a day through the recovery. Funny aspect was, the doctor was impressed at my recovery until I told him what I did. Then he went into a fit of anger. I am not much of a doctor person, but this doctor – and we are going back a few decades now – was considerably overweight and had an ashtray filled with butts on his desktop. Not the best environment to tell me how to stay in shape. A new cast was fit and I accepted the limitation for a week. Then, on race day, I took a bucket of water and went to the rear steps and soaked the cast to soften it until I could cut it off with a knife. The leg was exposed, thin and yellow from the confinement. But I was free of the cast and back on the bike, unfettered. 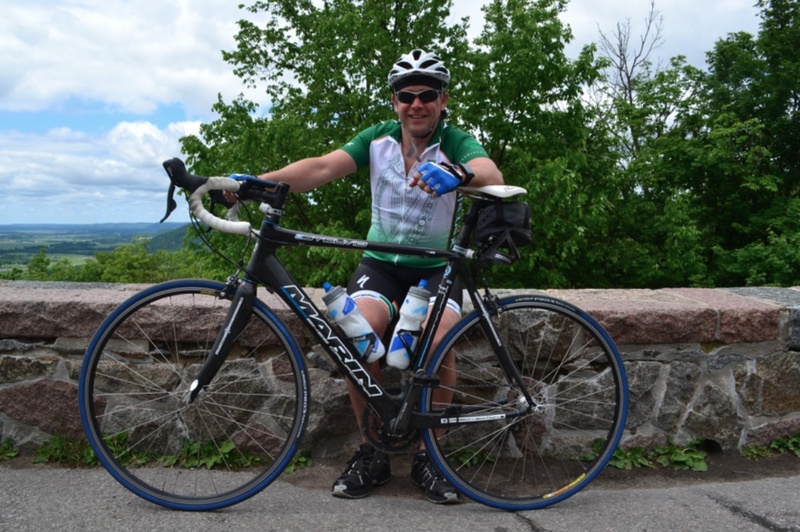 This entry was posted in injury, North America, roadbike and tagged 2015, August, Canada, Marin, Quebec. Bookmark the permalink.